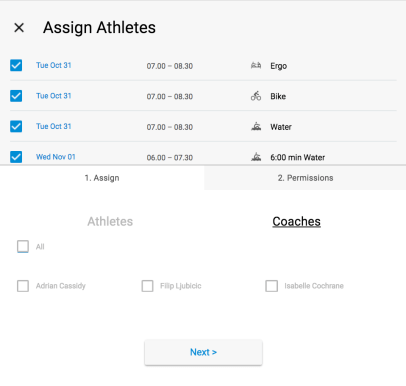 To add athletes to multiple sessions you will first need to select the sessions you want to add them to. 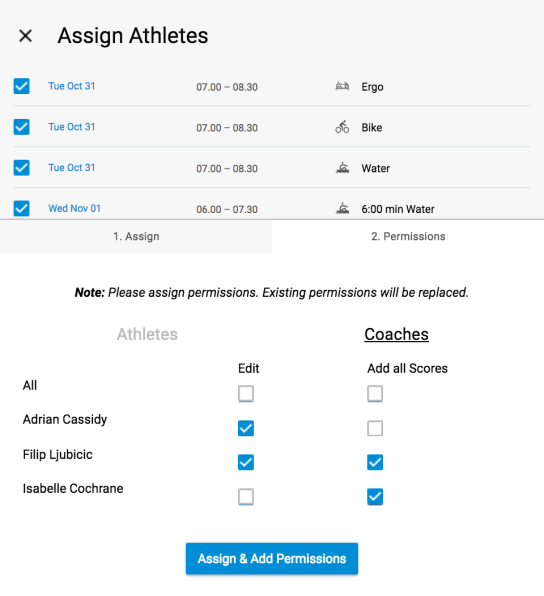 Once you have selected the sessions just press Assign Athletes at the top of the page. 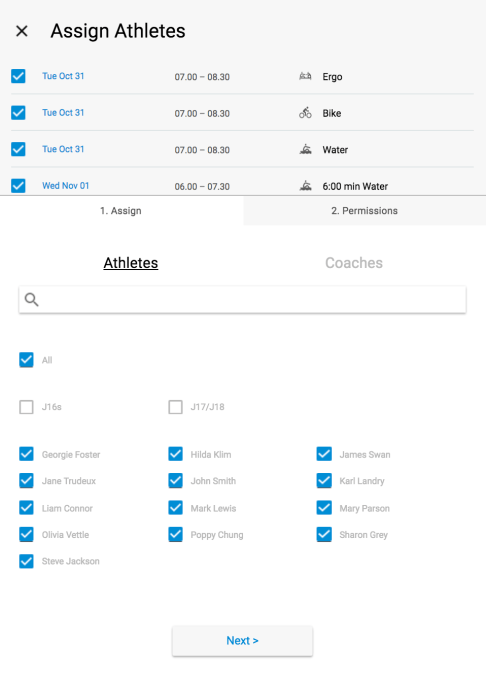 Below the list of sessions there will be a list of athletes to add to the sessions.